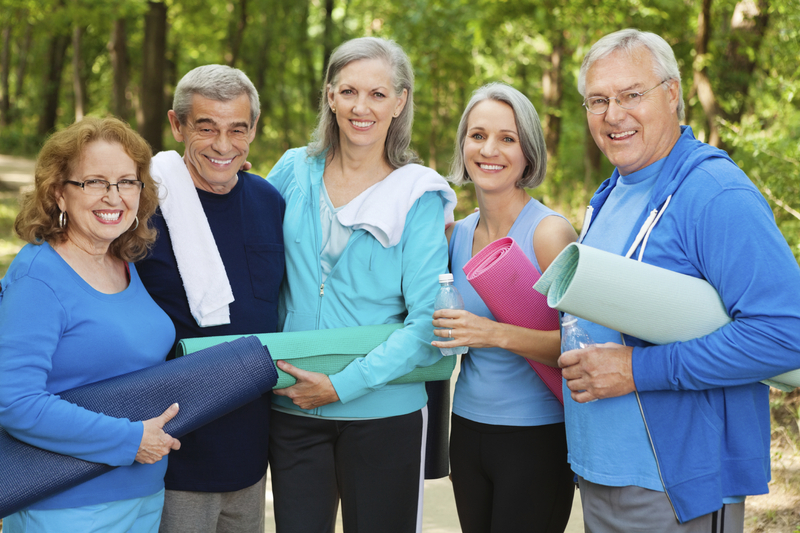 The Positive Benefits of Yoga on Baby Boomers and Seniors | Moonflower Yoga Inc.
At Moonflower Yoga, in Bellmore, on Long Island’s Nassau County, we have a steady group of baby boomers and seniors who attend our yoga classes. From personal observation, I know that yoga is helping them. They are getting stronger and more flexible, improving their balance, finding inner peace, and enjoying the comradery of being in a small-class setting with personal attention. Plus they are meeting new people and becoming friends with fellow students. But there is something else that yoga is helping: your brain function. My personal observation of this improvement for baby boomers and seniors has been recently confirmed in a new study. 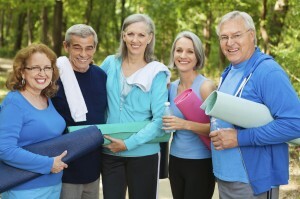 The University of Illinois studied 108 adults between the ages of 55 and 79 years of age. 61 of these attended hatha yoga classes – the style of yoga taught at Moonflower Yoga. The remaining group did not attend yoga classes but did general stretching and toning exercises. At the end of 8 weeks, the results were checked. The participants who did yoga for 8 weeks were speedier and more accurate on tests of information recall, mental flexibility, and task switching than they were before they began taking yoga classes. The yoga participants showed significant improvements in memory capacity, and were able to perform tasks more quickly without getting distracted. This is very key to daily living, as we often are required to multi-task in our everyday life. The people who oversaw the study believe that the yoga group benefitted from hatha yoga because it required focused effort as you moved through the poses, controlling the body and breathing at a steady rate. Studies have also found that yoga provided immediate positive effects on decreasing anxiety, stress, and depression by quieting the sympathetic nervous system. And, for the record, there was no improvement in mental capacity for the participants in this study who did not attend yoga classes. I personally believe that yoga can help you feel better and function better at ANY age. As this study has confirmed, it definitely helps baby boomers and seniors. If you are the area of Bellmore, on Long Island’s Nassau County, come try one of our great yoga classes at Moonflower Yoga! Our team of very dedicated yoga teachers will pay attention to you in our small-class setting making sure that you are doing your poses correctly. You’ll gain strength, flexibility, and balance, reduce stress levels, and at the same time improve your mental capacity. How cool is that!